Karl Marx's philosophical critique of capitalism and his solution of communism directly led to the formation of the communist state in the Soviet Union. Whilst this great venture has now all but completely failed, Marx's philosophy has proved to be arguably the most influential of the twentieth century; the influence of Marxism can be seen in subjects as diverse as the infamous policies of Joseph Stalin to many of the progressive humanitarian reforms of the twentieth century. 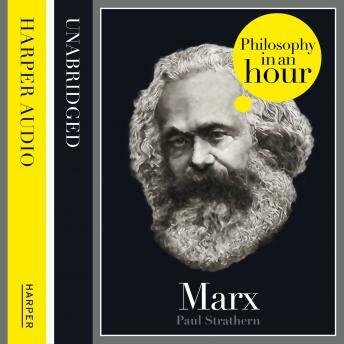 The audiobook is an expert account of Marx's life and philosophical ideas - entertainingly written and above all easy listening. Also included are selections from Marx's work, suggested further reading, and chronologies that place Marx in the context of the broader scheme of philosophy.